After reading Chris Hadfield's description of the Soyuz return in his memoir, I am more convinced than ever that we need a more civilized means of returning long-term ISS crews. I think there is a lot to be said for having a reusable spaceplane that offers a low-G reentry and a direct return to a facility via runway landing. So, I would consider the scenario in the original post to be a reasonably good one. Astronauts aren't royalty to be pampered. They are civil servants. And every one of them would consider it an honor. The important thing is that it happens and happens routinely and safely and inexpensively. 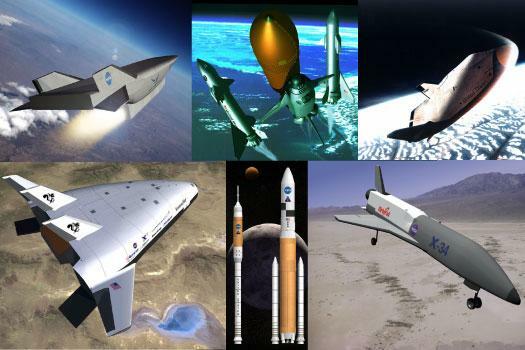 Maybe a Dream Chaser is the way to do that, but "dignified" shouldn't be on the list. The important thing is that it happens and happens routinely and safely and inexpensively. Where "safely" is so poorly defined that it isn't available until much later than possible and at a much higher price, if it ever happens at all. There's nothing "safe" about strapping yourself to a rocket, and we should just stop pretending there is. CST-100 and Dream Chaser are both built on sprawling horizontally-integrated supply chains that involve many different states, and that's the only type of pie-slicing that matters to Congress. How does supporting multiple providers win them any more votes/donors than just supporting the one provider with the biggest political constituency? Maybe a Dream Chaser is the way to do that, but "dignified" shouldn't be on the list. Why not Chris? I'm curious to understand your reasoning. It's not as if we can't afford it - we certainly can. So why not? I gave the reasoning. "Dignified," if part of the evaluation criteria, would have extra costs (otherwise there'd be no reason to include it in the evaluation criteria). I'd rather the astronauts pursue deeper exploration than be more dignified. If you're talking space tourism, then fine. But I'm talking about civil servants. I know if I were an astronaut, I'd rather get, say, closer to the Moon than I would come home in a more "dignified" manner. Thanks. I disagree but thank you for answering my question. Like I said we have the money and certainly can afford a more dignified means of returning home than getting bounced on the ground and flipped over on our sides and then waiting there in that awkward position until somebody finds us and lets us out of that can. My reasoning goes far beyond so-called civil servants. If HSF is ever to become commonplace people will have the right to expect to be brought back home in a more dignified manner than being dropped on the lawn like a newspaper tossed by a kid on a bike as they speed by. If that will ultimately be a common expectation, and it will, then I believe that because we CAN afford to develop this capability, then if we believe in the dream, we should. It's not enough anymore just to go into space and make it back alive. We can do far better than that. Shuttle did much better than that. DreamChaser will do better than that. And both Dragon and CST-100 will do better than that. Old style "drop em on the steppe and wait" style landings is so "ancient tech". We can do better. And we SHOULD do better. I think it is very telling that EVERYBODY is planning to do better than that except the American and Russian governments. I don't know that it will ever be built, but the Russian PTK NP replacement for Soyuz is supposed to make a considerably more dignified landing than does Soyuz. So that leaves just the US government (and maybe the Chinese?). Old style "drop em on the steppe and wait" style landings is so "ancient tech". We can do better. And we SHOULD do better. -Dragon would handle cargo on Falcon. -Cynus would handle cargo as well. To your first point in America we don’t punish companies for being successful. Boeing is the most experienced spacecraft constructor in via the absorption of McDonnell and North American–Rockwell. The CST-100 has the heat shield protected via its service/propulsion module making ideal for long stays at ISS or future stations. I also see it as a potential evolution into a BEO spacecraft. In this era of Commercial flight it might take only one LOM/LOC for a company to fold so I feel this spreads the risks out. And lastly I want ROI, why should America not get the spacecraft they invested in? Are we going to continue to add to the 20 Billion and counting on the scrap heap of cancelled programs? -Altlas has a long "proven"flight history, you can't say that "yet" for SpaceX. That's an increasingly hard argument to make, as the two versions of Falcon 9 have 8 flights between them, with only a single anomaly, which did not affect the primary payload (and only affected the secondary because of ISS proximity requirements). If the USAF gives its approval to Falcon 9 v1.1 (which is likely now after three good flights), then it's really as "proven" as it needs to be. Not that Atlas isn't a great rocket, it's just that it starts to look really expensive for not much more reliability. Yes, but SpaceX's rocket certainly has the /potential/ of equal or even better reliability. Atlas V relies on booster rockets for larger payloads (i.e. CST-100 and the like) which don't have engine-out capability, neither do the two upper stage engines. Falcon 9 has engine-out capability on the multi-engine first stage and the fewest feasible number of stages (2) and just a single upper stage engine. I agree that these are still theoretical advantages until there's a better flight history, but it seems quite likely Falcon 9 /will/ have a significant flight heritage (20-30? comparable to Delta IV) before the first flight to ISS in 2017 or so. Making a downselect now to Atlas V on the basis of some imagined reliability advantage would be quite short-sighted, especially since the Dragon cargo capsule has made 4 totally successful orbital flights so far (there were glitches, but still complete success), and that's at least as important as the launch vehicle as far as safety goes. And don't pretend that the lower cost makes no improvement on safety: With a less expensive rocket (and vehicle), you can afford more flight tests than otherwise, and flight tests are more important than almost any other factor, IMHO. This begs the question, are either Dream Chaser or CST-100 doing an in flight Max Q abort test? If not, is that being driven by the inability to afford the LV for the test? How much is the fact that Dragon will have proven that is LAS works even in the worst case scenario worth to NASA in proving the system's safety relative to its competitors? That's been my main beef with commercial crew all along though! We're investing in three different spacecraft (four if you count Orion) when NASA doesn't have the resources to seem them all through, thus ensuring that we will add to the scrap heap of cancelled programs! Except the advantage is that at least Dragon and Dreamchaser have companies behind them that would try their hardest to find a use for them even if they aren't selected. By having a late down-select, it also allows the potential for going to an alternative vehicle if there's a problem with one of them. ...weren't we supposed to be on Mars by now? It will have to be there to support BEO, and also to give meaning to SLS.